This is mentioned to me more than I'd like – usually by exasperated teachers who discover that the school has 30 locked away somewhere that are never used or subject coordinators who have been 'given' iPads to raise standards… But little else in the way of support. Schools are spending more than ever on technology it seems and, according to many articles a large portion of this money is going on tablet computers. A September article from the TES claims technology spending to be around £600 million this year, whilst at the same time a blog post in Wired points to a crisis in technology education. Investment in iPads seems to be especially controversial at the moment and the stories are not always positive. Google iPads in Primary Schools and amongst the blogs, apps and ideas you will get plenty of articles about how it has gone horribly, and publicly, wrong! So, if you have already invested, or are considering here is a quick guide to makes sure your investment impacts on standards! Measure impact in a variety of ways – through pupil voice – talking to staff – and data. Let staff explore their use. Give time to talk to your technical support! Share success and encourage experimentation. If you already have them in school, skip this point! However it is crucial you, or your Senior Lead, are aware of why you are investing in the technology. 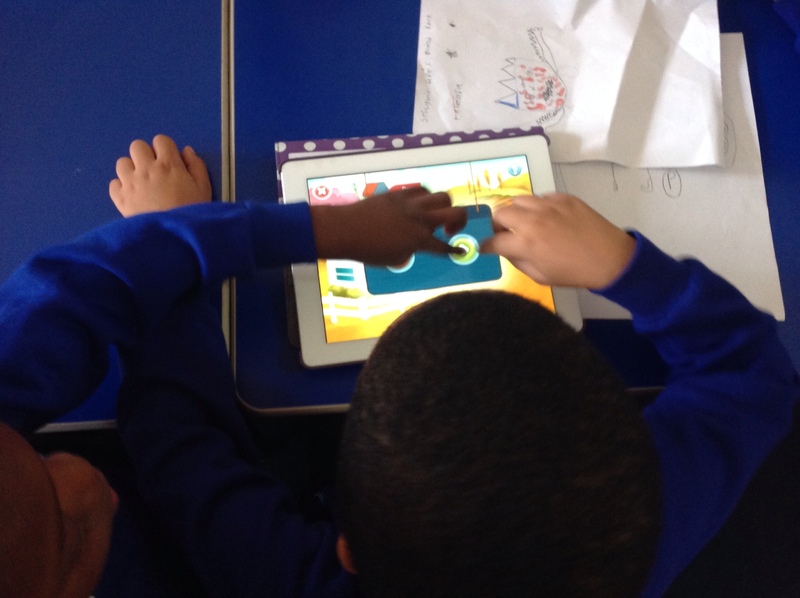 There can be many reasons for iPads or tablet computers in school – they do open up more learning space – they do allow for access to technology for all the school, rather than just in the ICT suite. They are cost effective and the huge range of apps means that they can, arguably, be used in all areas of the curriculum. However they should be one part of provision in the school, and a clear plan should be in place to ensure that curriculum provision is being met. Share the aim with the teachers.. In fact, I would argue that there is no point buying iPads for pupil use if teachers can't use them. Buy them for staff, or let staff use them over the holidays. Especially subject coordinators. Set up some modelling of lesson use by teachers from other schools if necessary. Invest some money in a days inset with a recommended trainer. Share articles and example of iPad use (I have put some at the bottom of the article) but bring them into staff meetings too – e.g. a staff meeting about learning environments could include the staff videoing their favourite display. A quick five minutes could include how the iPad can be linked to the whiteboard as a visualiser. Share key apps and brainstorm ideas. This should probably be first!! Be clear about your vision with your technical support. iPads are easy to use, no doubt about it, but you will need to be clear about the effect they will have on your infrastructure. Get your wi-fi tested to find out how much use it can take. Discuss the use of air-server or reflections to get your iPad onto your whiteboard in the classroom. How will you set up and run the volume purchasing programme? Berealistic about limitations – continue to invest in computer suites. Your teachers won't be able to manage this side of things alone. Sounds ridiculous right? But I have been to schools where thousands of pounds worth of equipment was locked away. Think about what you have and assign them if necessary. No matter how many you have! If don't start letting staff explore them you will never see the possibilities. Key message here(and I can't repeat this enough) use staff who are enthusiastic already, don't force use. Share success! Encourage experimentation. One class set of 15? Leave them with a teacher that will use them. The rest of the school can book them from that class – but give them to an enthusiastic teacher and you will see results. You could put 1:1 in a class, but some permanently in classrooms are more beneficial. Even put 8 in a class across the school rather than one set locked away somewhere..
Group set? Assign them a specific use for some year groups, e.g. A maths focus every morning in Y5 and have an aim. You could with engagement as an aim, but let the class teacher decide how they could be used amd give them ownership over the data and use. For example use during guided reading, or a blog project. Signing out procedures… Always an issue for any resource. Don't keep the iPads where they can't be reached, and encouarge a signing out book, or booking out on the staffroom board. Stick to it! I have mentioned this before on this blog, but there are such possibilities with a limited number of apps that I would only really start with five/six apps. If staff want more iPads let them pitch their use of the app in a 2 min of the staff meeting. I really wouldn't start sharing too many apps. 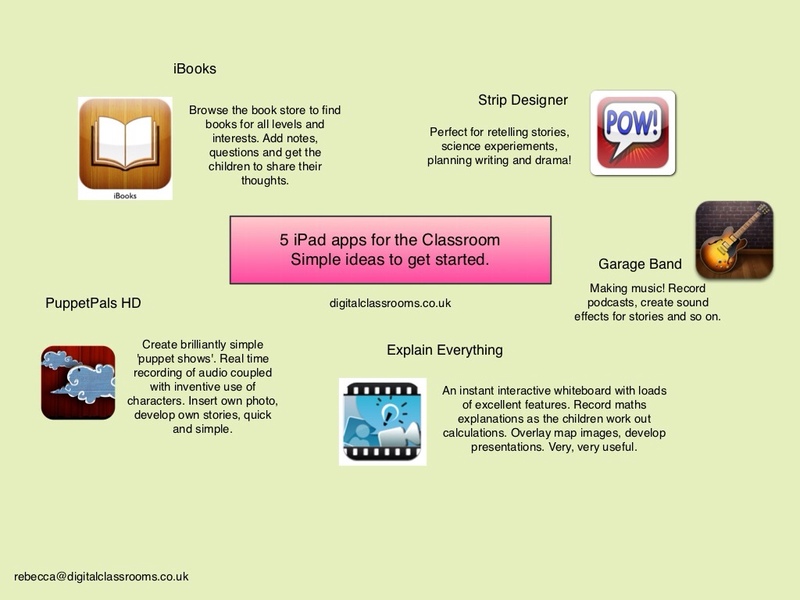 If iPads are languishing unused somewhere then get a project started! An after school comic creating club, or a book creating project? Make movies using iMovie (book trailers are super simple). I hope this is helpful! I didn't want to do a 'what not to do' post as it seems to me that many headteachers/senior leads have already bought the technology but don't always have an idea of what to do next! Teachers can therefore be left to make the best use they can! Do contact me with any questions you have! Digital Roadtrip @digitalroadtrip has an awesome blog for those interested in more! Posted by RS on December 15, 2013 in Apps, iPad, Teaching and Learning and tagged classroom, impact, iPads, standards. In the changing technology landscape, Apple has fallen way behind in bulk device management and Deployment. The Configurator is a joke, and I’d look at other device options, or wait until the tool is either revamped. I suppose you could outsource management, but that’s incredibly expensive. It’s interesting you say that – many are now outsourcing their deployment and management – and is is expensive. I do think that as the Android devices become more user friendly and ubiquitous schools will turn to them.